I visited a friend’s house recently and loved their festive decorations. These sweet, small, little elves stood out on their brunch table. I asked for more information on the origin, and found out that she made them as a young child. She was quite nostalgic about them, and now her children look forward to putting them in pride of place each Christmas. Homemade decorations that you can remember making at school or with your parents have such lasting memories. Being able to enjoy them year after year, revisiting that time in life — it is so beautiful! Known as nisser men, she made these as a tradition with her father who is Danish, when she was only four years old (over forty years ago). 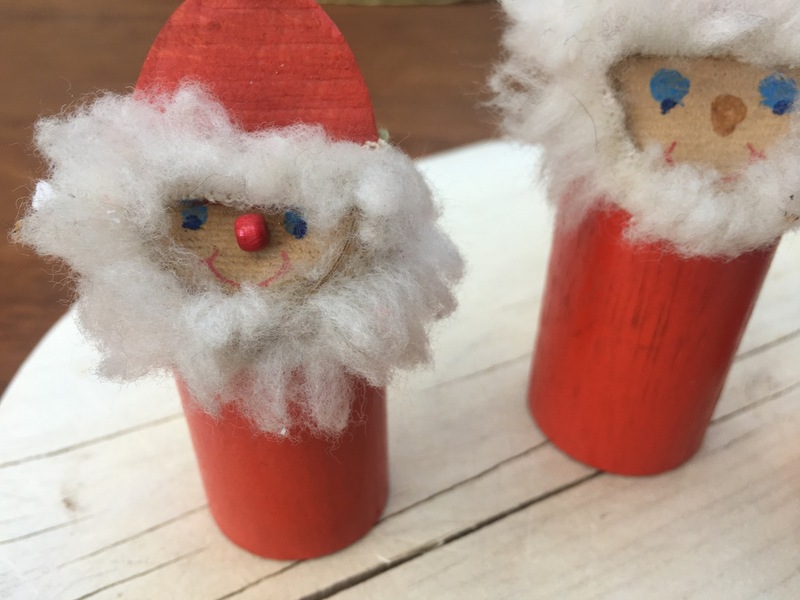 She can remember him sawing the dowels, she helped to sand them smooth, and then they layed out the materials — beads for noses, wool for the beard, and paint — all simple quality materials and lasting. I love the size of them, (so sweet), and the history of them. Nisse are also called tomte, tomtenisse, and tonttu depending on what country they come from. They are a mythological creature from Nordic folklore and typically associated with the winter solstice and the Christmas season. They are generally no taller than 90 cm, have long white beards, and wear a conical red cap. Somewhat similar to that of a garden gnome. The nisse is one of the most familiar creatures of Scandinavian folklore, and has appeared in many works of Scandinavian literature. 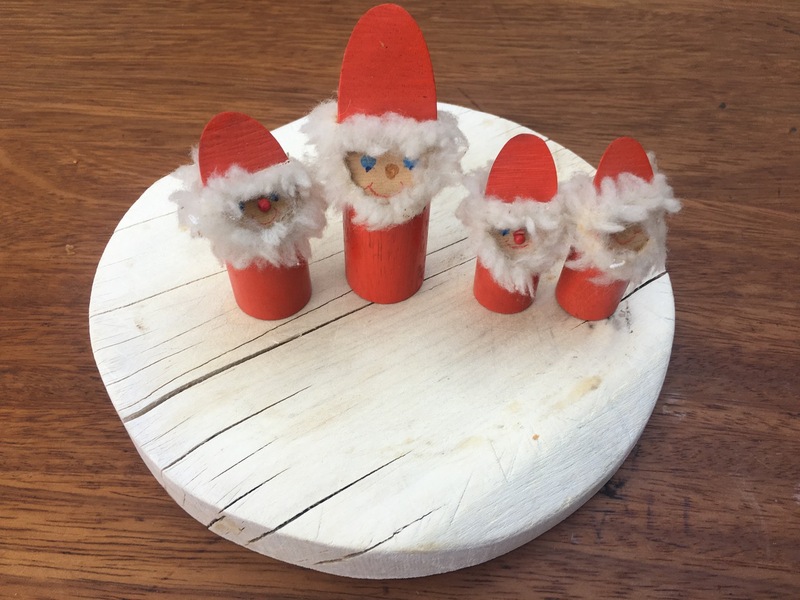 This year, I plan to make these nisse men with my four-year-old. I just think they are adorable, and so easy to make too! Make your own Christmas wreath -- it's easy! Angel pasta ornaments, ridiculously cute and made of pasta! Festive & Fragrant Pomanders -- a great tradition and an easy craft too!